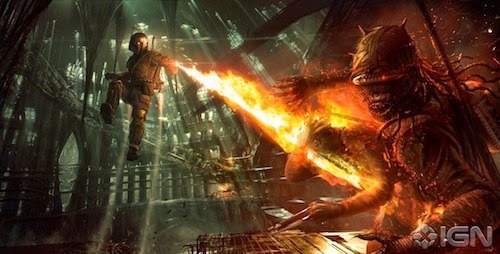 According to IGN the cancelled Star Wars 1313 would have seen gamers play Boba Fett in a galaxy-spanning storyline. This was meant to tie-in with a live-action television series. Development of Star Wars 1313 was junked in April following Disney's $4.5 billion acquisition of Lucasfilm in October 2012, and the announcement of a new movie trilogy (set after Return of the Jedi). The first of which is to be helmed by JJ Abrams (Star Trek). This week Virgin Media will invite 40,000 customers to trial the Netflix app prior to a full rollout of the streaming service on TiVo. 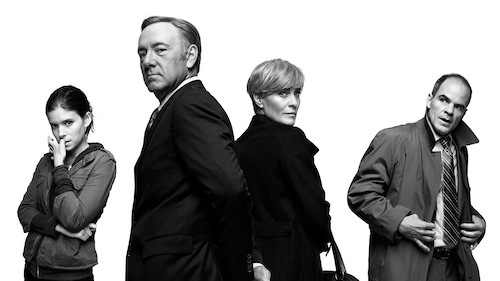 Customers will need to sign-in or sign-up to Netflix. 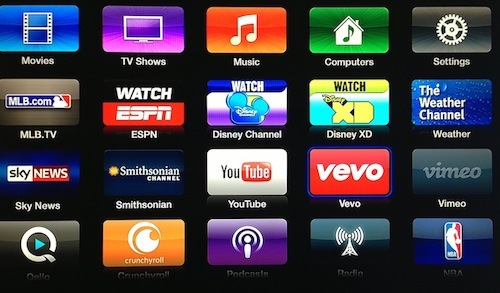 Netflix is available on multiple platforms including PS3, Xbox 360 and iOS. The device limit is generous unlike competitors such as LOVEFiLM Instant or NOW TV. Virgin Media already offers access to YouTube through TiVo, and has expressed an interest in bringing the Amazon-owned LOVEFiLM Instant to the set-top-box too. Since Virgin Media was bought by Liberty Global there has been a sea change: a willingness to partner with competitors in a fickle market dictated by savvy consumers. Bill Holmes, global head of business development, Netflix, said, "The U.K. has given Netflix a fantastic welcome and we're excited to be partnering with Virgin Media to bring an amazing Netflix experience to Virgin Media customers." Going forward. Virgin Media offering a Netflix subscription, as part of a broadband bundle, would be a compelling added-value and no-brainer. For example I didn't hesitate to subscribe to Amazon Prime + LOVEFiLM Instant (saving money in the process) a few months ago. Wonder what Andrew Lewin (my occasional blogging partner in crime) makes of this latest development? I've been looking forward to Disney Infinity since it was announced and have had the game on pre-order with Amazon since January. Everything that I saw and heard about the game whet my appetite for something that was able to truly capture the Disney magic and encapsulate it into a tangible experience for fans (myself included). I'm somewhat of a Disney addict! Whilst I'd never consider myself an expert; I love the movies; I love the theme parks; I love the history and stories behind everything. The idea of a construction kit that would let me craft worlds using IP from the biggest vault of them all? Far too tempting to pass up. Sandbox games have always been top of my genre list. The last Disney games I can remember playing and enjoying (I wasn't a fan of Kingdom Hearts) were The Lion King and Aladdin games on the Sega Megadrive. Quintessential 16-bit platforming magic. Digital sounds from the movies, the levels played through the story and they were very well put together and very fun to play. Some of the gameplay videos I'd seen in the months leading up to release seemed a little choppy, as though the hardware underneath that game engine was struggling either with draw distance or animation. I was a little concerned but as more and more videos surfaced in July, things appeared to be improving. Release day arrived and I was really excited and eager to play, alas Royal Mail decided they'd rather like to hang on to the parcel for another 24 hours so I didn't get chance to play until Saturday evening. I'd ordered just the Starter Kit. As it happens, I was working on Saturday and happened to have access to a GAME store at lunchtime. I had a wander down to have a look at the other packs that were for sale and any add ons. I ended up parting with another £90 and coming away with the Cars playset, the sidekicks bundle, the power disc album and 5 packs of power discs (an addiction that still plagues me to this day, which I'll expand on shortly). I got home and immediately my 2-year old son took to the 'toys' like they were his own and he took them away from me. He's recently become very fond of Monsters, Inc. So, Sully and Mike were straight into his little hands, along with Jack Sparrow for good measure. This grants you a single player experience in each of the three playsets of which there are purportedly 4-6 hours of gameplay in each. It is possible to play 2-player co-operative games inside the playsets, helping one another out with the missions, but in order to do so you will need to acquire one other character from the relevant Disney IP. We can't have Jack Sparrow running amok in Metroville with all of those Omnidroids running around now can we? Just think about what would happen if those things got hold of all of the rum? A little blow for anyone wanting to jump straight into the game with a friend. But, it maintains the magic of the experience by enforcing this rule. All three games feel similar but just different enough from one another, you complete missions and gain rewards and unlock abilities, items and toys (for the toy box) whilst progressing the story. If I had to sum up what the game felt like I guess it would be a mix of the fun quests from World of Warcraft mixed with Lego Pirates of the Caribbean. There are also multiple challenges all over the game world (collection challenges for example where you have to pop an ever increasing number of balloons with less time to spare) and character specific characters and unlocks. Each playset contains a 'vault' with a special item inside that can only be accessed if each character available for the playset has interacted with it - for playsets which have 5-6 playable characters (each at £12.99 each) this can soon be an expensive experience. The gaming experience can be enhanced by the use of power discs - discs that can be placed under your character avatar to grant them special powers (chance of invulnerability or extra strength for example). There are 20 power discs in Wave 1. They are purchased blind in packets of 2 for around £4 per pack. The 5 packs I bought at GAME above contained the same disc 4 times. Very poor out of a selection of 20 possibilities! 3 of the 20 discs are chase discs. These are orange in colour and have a holographic picture on them, it is said that you can find the rare discs by scratching the top disc through the packet with your fingernail - you should be able to feel the resistance of the hologram lines. I couldn't possibly comment on this practice nor condone its use (it works btw). I hope that this is something Disney improve on with Wave 2. Buying blind is very fun but very expensive and very addictive. To date I must have bought 20 packs of discs. I've managed to swap a few with work colleagues and sell sets of 5 at face value (£10 with it being £2 per disc essentially). Communities and eBay are rife with people looking to make a quick profit. I've never felt anything like this before - especially with regards to purchasing a binder where every power disc has its own place - I couldn't rest until I had them all! I'm not sure whether that's something I need to deal with on a personal level or whether or not Disney have done something with the power discs to make them so desirable you'll want to drop £50+ on completing a set. I believe that Waves 2 and 3 of power discs are planned and that there are several sets of toys planned between now and next year - Toy Story is due in October (cannot wait!) and Frozen (an upcoming Disney film) not long after that. I'm pretty sure that Jack Skellington from Tim Burton's Nightmare Before Christmas will also be making an appearance in the next month or so. Just in time for Halloween! I've also picked up the Disney Infinity bag/satchel. It stores up to 20 figures and a bunch of power discs and will house the infinity base and is a great place for the toys to be based. I say based because the toys are currently strewn across the living room as my son (quite rightly) believes that they are for playing with. They are made of very sturdy stuff and I have no doubt that they are able to withstand a little more creative play albeit in the real world rather than the virtual toy box. He proudly says 'Jack' whenever he sees the figure or a photo of Johnny Depp now. Adding to the magic of the whole experience for us. I've only experienced one issue with the infinity base whilst playing. It told me it was unable to read the play piece whilst playing through Pirates and kept losing connection. Worried that Harry had been a little too rough, and had damaged the RFID assembly on the base of Jack Sparrow, I checked the figure and the base and couldn't figure out what the problem might be until I realised I had placed the base on top of the power disc album containing 19 (Marlins Reef still eludes me despite attempts through eBay to procure him) discs. I guess they were all fighting with the base to be recognised! I placed the base on a normal surface and all was well with the world. So far I've spent around 4-hours playing The Incredibles game and 3-hours playing the Cars playset. Monsters, Inc. I've spent around an hour in. I found it a little like Crackdown with regards to the collectable toy box unlocks and XP points in capsules and found as I progressed and got access to different equipment, some of the capsules that were well out of my reach were easy to get. You can get a little OCD with regards to wanting to collect them all. So the structured game parts are very good, but what will keep you coming back for more? Simple answer - The Toy Box. Any character you can put on the base will also grant you access to the toy box. There are a number of pre-built worlds for you to have a play around with and you get the option of starting with a blank canvas. The most important thing to remember here is that this is effectively a game engine. There are triggers which can be linked to actions and items to make things happen under certain circumstances. You can build your own games and share them with your friends! The possibilities are, literally, infinite. I built a huge race track that went under Cinderella's castle, into a big ramp and had a bridge over a lava pit (Revenge of the Sith - Ed). I haven't managed to unlock everything I need to tie up lap counters and finish lines yet but when I do, I'm making a sugar rush clone (racing game from Wreck-It Ralph). I placed both of the Wreck-It Ralph hexagonal power discs on my Infinity reader and my toy box was transformed. The skies were pink and the horizons filled with scenery seen in the game in Wreck-It Ralph, the music playing was the Sugar Rush theme tune. Where trees had stood previously I now had candy canes, my race track gone from a scalextric style to something sparkly that could almost be made out of sherbet. All of a sudden I realised why Disney hadn't seemingly capitalised on releasing a stand alone Mario Kart clone - it's much more fun to build your own. You don't start out with much in the toy box, a few pieces that you can place. As you play through the playsets you unlock more and more pieces to play with - you start with a few simple race track options but can soon unlock special barriers and ramps to make your race track much more exciting. There are also capsules to collect in both the toy box and the main game which will unlock more and more items for you to use. As you progress your characters through levels, they gain 'spins' on the Disney vault. This is a random page of around 12 things that can be unlocked for your toy box. These range from mini stylised autonomous avatars (such as Snow White, Dopey, Gaston, Toy Story aliens) to more interesting pieces of race track (loops anyone?) and additional scenery blocks. It is said that there are 1000 things to unlock from the vault. So far I think I've unlocked less than 50. The most fun I had was dropkicking a miniature Dopey off the side of a cliff and watching him deploy a parachute to fly to safety. The way that everything is stylised and implemented within the game shows the immense care and attention that has been put into making this game. The introduction and tutorial alone were enough to give me goosebumps and make me realise that this game was something special. Disney are in this for the long haul. They've stopped development on any separate licensing and it's clear to see that they are putting all of their eggs into this infinity basket, any new IP which comes out will get characters and playsets to add on to the Disney Infinity experience. The opportunities are endless and from what I've seen so far I think that the future of Disney games are safe and very, fun ad infinitum. Polygon reports Disney has released free user-generated DLC based on BioShock Infinite and TRON for Disney Infinity. 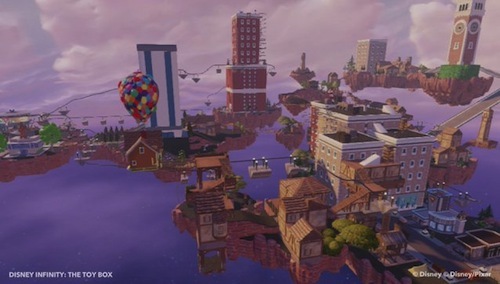 Toy Columbia is a family-friendly version of the terrifying floating city that is the setting of BioShock Infinite and includes Carl's house from Up. BioShock Infinite is a contender for game of the year and Elizabeth evokes Disney's Belle and actress Zooey Deschanel. Trench Run sees players flying a TRON Recognizer through a trench clearly inspired by the Death Star in Star Wars. 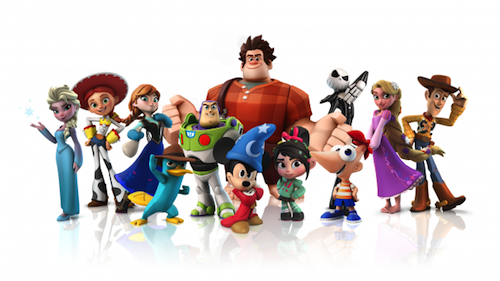 Leveraging community-created content is a smart move and an indication the company is looking at Disney Infinity as a scalable franchise that will be around for years to come: parents and collectors beware. Have you taken the plunge or are you waiting for Marvel and Star Wars packs? Amid rumours of Ryan Gosling, Zac Efron and Leonardo DiCaprio auditioning for roles in Episode VII at Disney. Allegedly Benedict Cumberbatch will be the first casting announcement from Lucasfilm. If true. This would reunite the actor with Into Darkness director JJ Abrams. The Sherlock star has admitted he was a Star Wars fan, like so many of us, as a child. 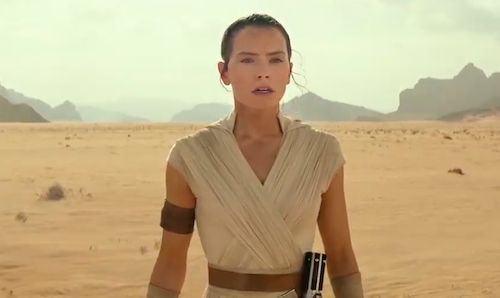 He told Total Film: "I was much more connected to [Star Wars] as a kid, in the way that a lot of kids are because it’s immediate storytelling, very simple – a beautifully, outrageously simple narrative in a way – and a wonderful three-act melodrama, opera. And I loved them. 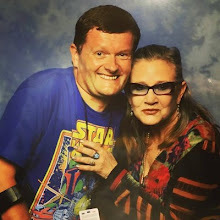 "I really, really loved those films and I always wanted to be Han Solo. Everything Harrison Ford did I just thought was the coolest thing ever." After Benedict's brilliant turn as Khan in Star Trek Into Darkness. He should play a Sith.